In 1895 Brother Walfrid no longer lived in the East End of Glasgow as he had moved to London’s East End a couple of years earlier on the instructions of his superiors in the Marist Order. Walfrid’s organisational skills and creative thinking as the first Headteacher of Sacred Heart school in Bridgeton had not gone unnoticed. 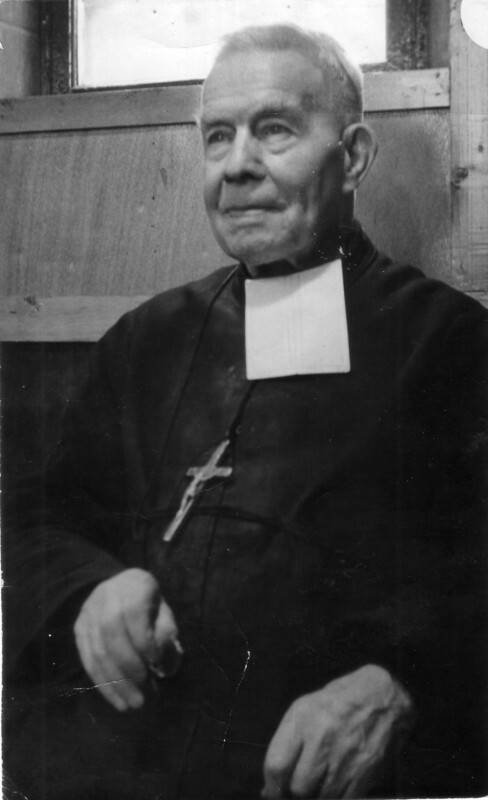 Literary societies, football leagues and a branch network of employer contacts to take on children of school-leaving age were just some of the schemes that the Sligoman had introduced to benefit his pupils and their community. In the Glasgow Observer of 16th March 1895 Walfrid had been invited to recall his time in Bridgeton and also the charitable initiative with which his name would always be associated – the Poor Children’s Dinner Table. 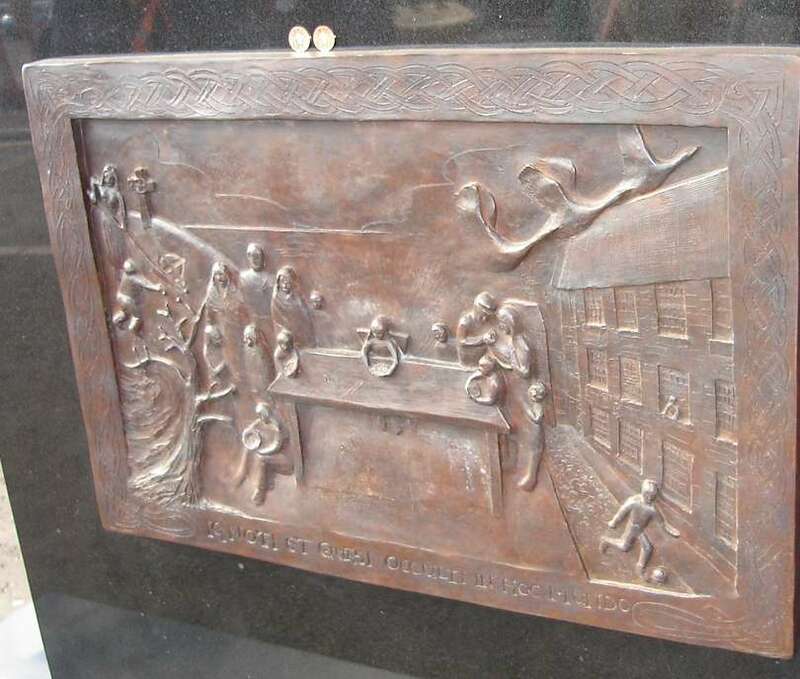 it was at the rear of Sacred Heart school in Bridgeton’s Savoy Street that Walfrid, with the assistance of the St Vincent de Paul Society, had established the first kitchen where the Penny Dinners would be produced. The primary purpose was to encourage parents to allow their children to attend school by providing essentially free dinners – rather than insisting they go straight into working life instead. The scheme was an instant success in Bridgeton with over 250 children soon attending the Dinner Tables regularly. 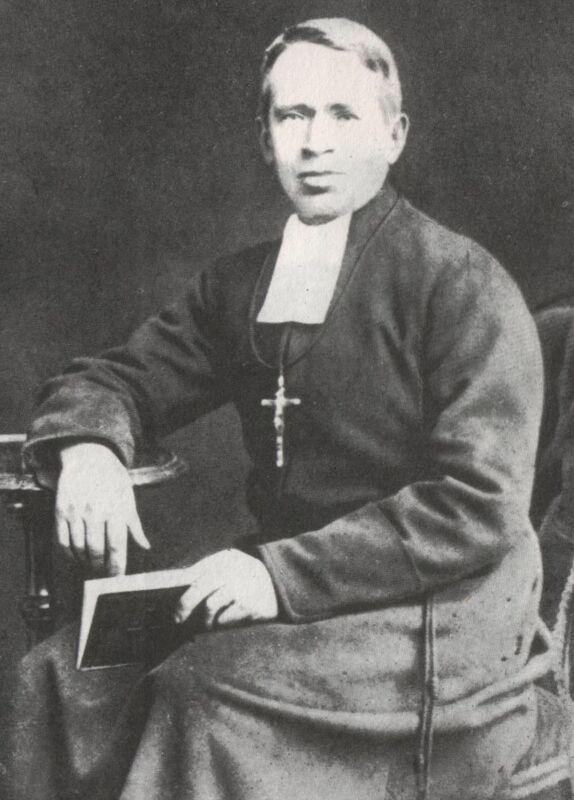 Walfrid’s colleague in charge of St. Mary’s school in the Calton, Brother Dorotheus, followed suit and, by December 1885, over a thousand children a week in Glasgow’s East End were benefitting from Walfrid’s original idea. In order to bring in funds to keep the Dinner Tables going, Walfrid and Dorotheus began to organise charity football matches in Bridgeton – before the decision was taken in November 1887 to create a football club in this immigrant Irish Catholic heartland of the East End. A flyer issued after the 6th November 1887 meeting at St Mary’s Hall seeking community support underlined the purpose of the new club: “The main objective of the club is to supply the East End conferences of the St. Vincent De Paul Society with funds for the maintenance of the “Dinner Tables” of our needy children in the Missions of St Mary’s, Sacred Heart, and St. Michael’s. Many cases of sheer poverty are left unaided through lack of means. 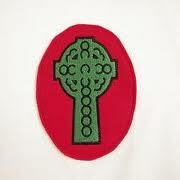 It is therefore with this principle object that we have set afloat the “Celtic”. 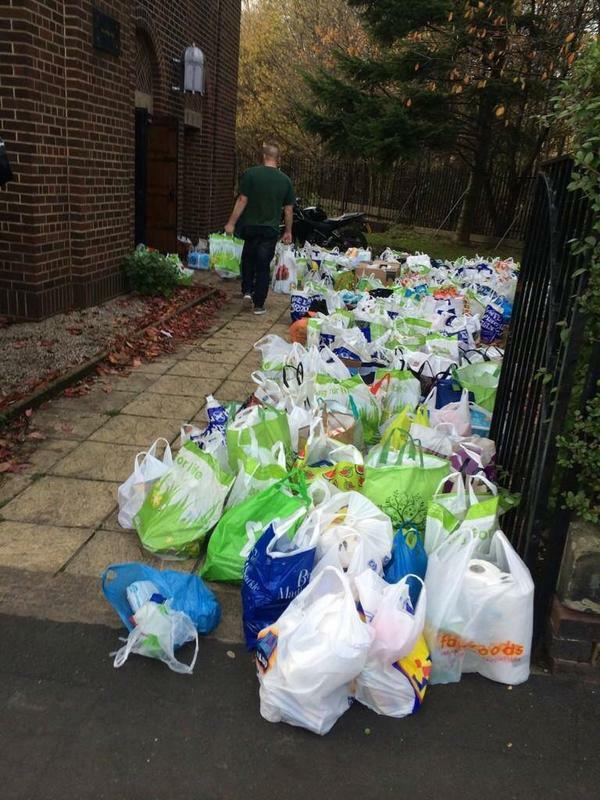 Last Saturday, 1st November 2014, just a short walk away from Savoy Street in Bridgeton, the Celtic Ultras group the Green Brigade set up a series of collection points for food and other provisions in support of the Glasgow North East Food Bank which provides emergency food for local people in crisis (please visit their site: http://glasgowne.foodbank.org.uk/). 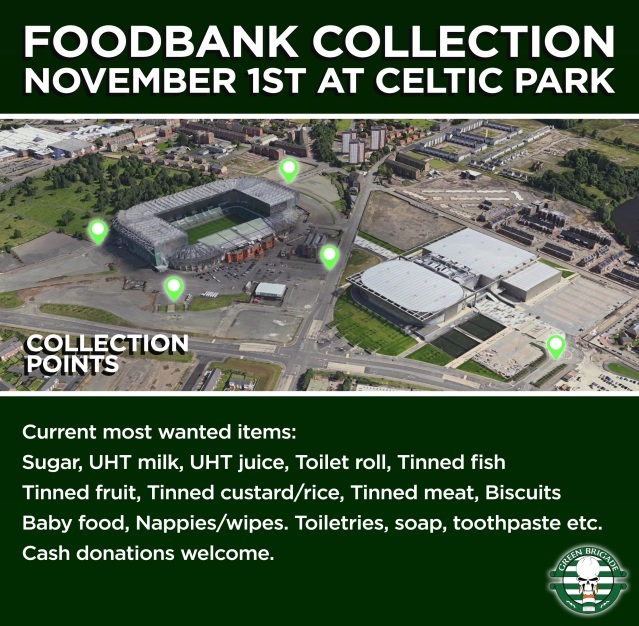 The collection points were the main entrances to Celtic Park. History is something that is close to the hearts of most Celtic supporters. Sometimes we are criticised by outsiders for focusing on the past rather than the present. Yet our history shows us that the cause of charity, central to the creation of the club, has always been prominent in supporter activities from the earliest days and it is truly uplifting to see Celtic fans continue to keep that flame burning in the modern era. 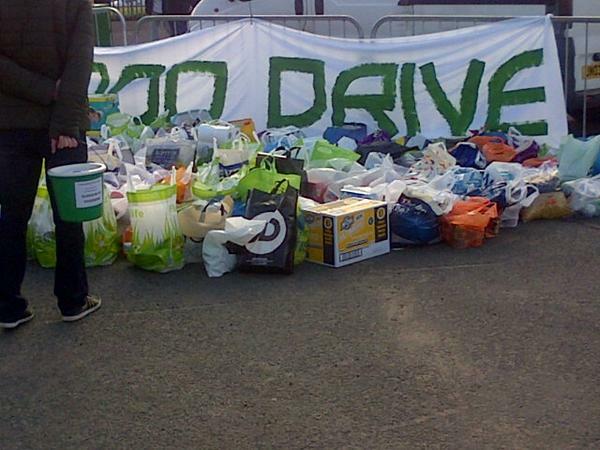 Green Brigade members and supporters manned the collection points, took in financial donations, sorted out the bags and bags of food and other goods and filled up van after van with them – before cheering Celtic on to victory over Inverness Caledonian Thistle. 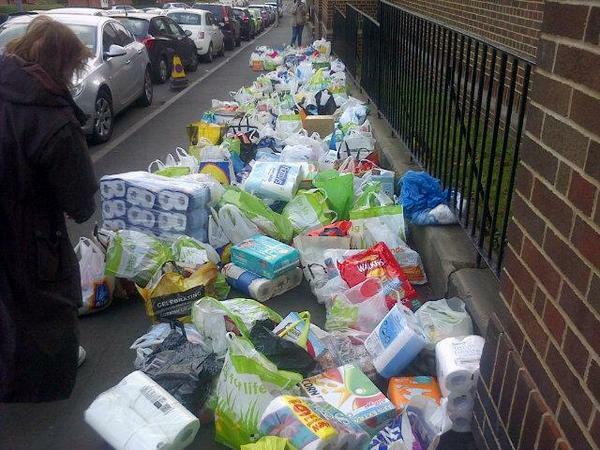 The reward for their efforts in setting up the collection was an incredible response from their fellow supporters. 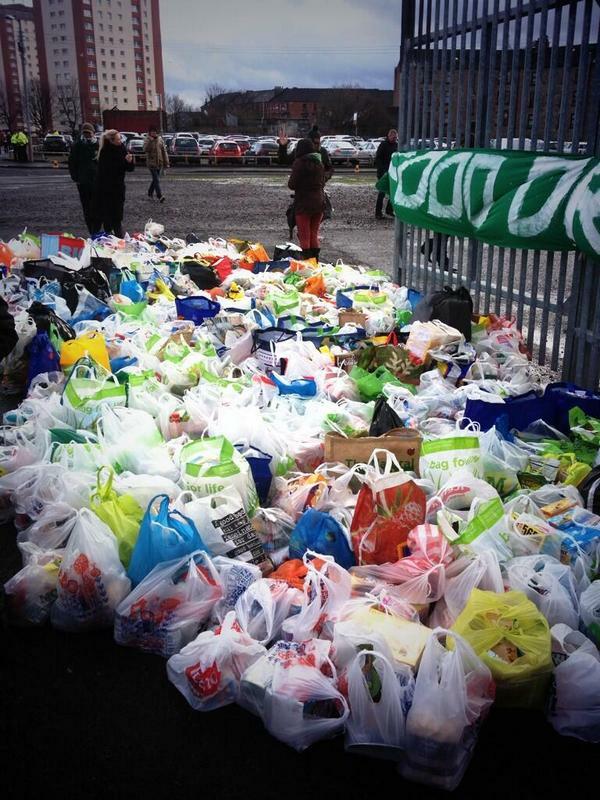 Celtic fans from all points of the compass arrived at the ground carrying bags and boxes of stuff. 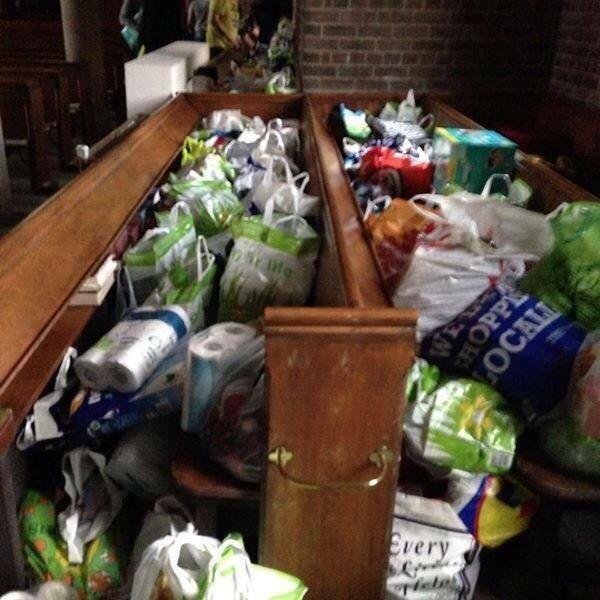 Food and donations poured in. The collecting buckets were jingling and rustling at the same time. The vans were soon filling up. And when the vans returned they were filled up again! One week on, the food is still being sorted and counted because so much was given . The money donated in the few hours before kick-off last Saturday totals almost nine thousand pounds. The efforts of the Green Brigade deserve to be applauded – as does the response of the Celtic support to their request for help. (The club also helped this time round with publicity to ensure maximum awareness of the collection amongst fans attending the game. ) 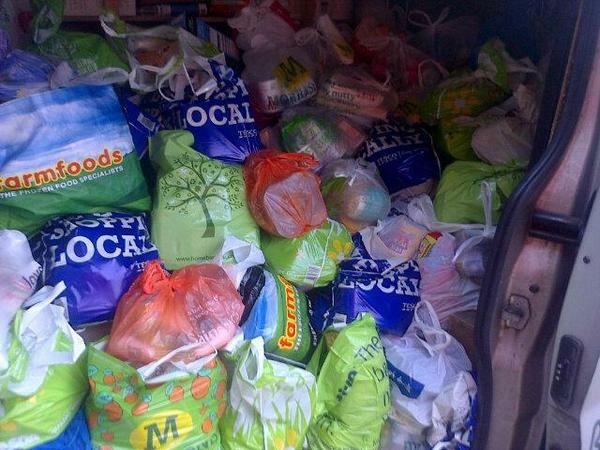 Glasgow North East Food Bank will ensure that the food, goods and money will provide crucial support to famillies throughout the city at what is usually the most difficult time of the year. While we regularly claim to “know the history” these tremendous efforts of the Green Brigade and the wider support demonstrate that the flame of charity still burns brightly throughout the Celtic community. And that is a very great blessing indeed.